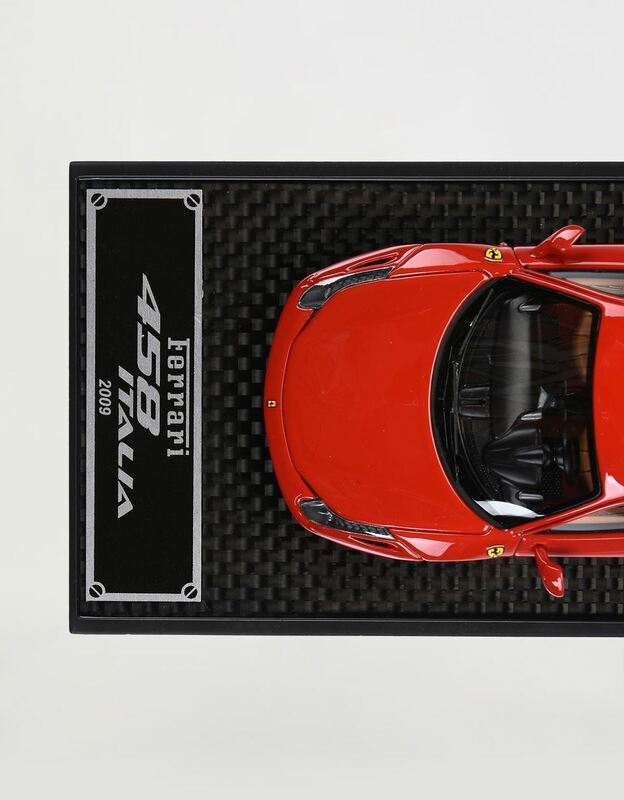 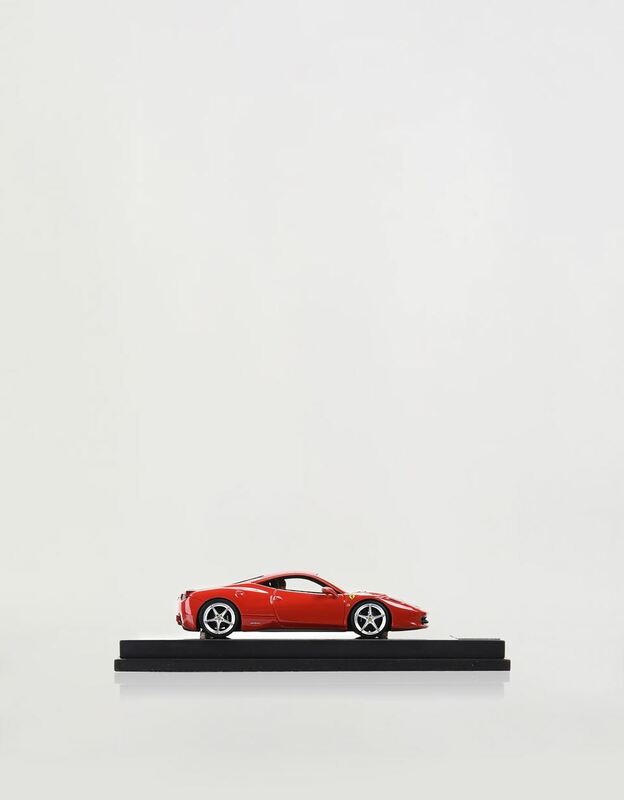 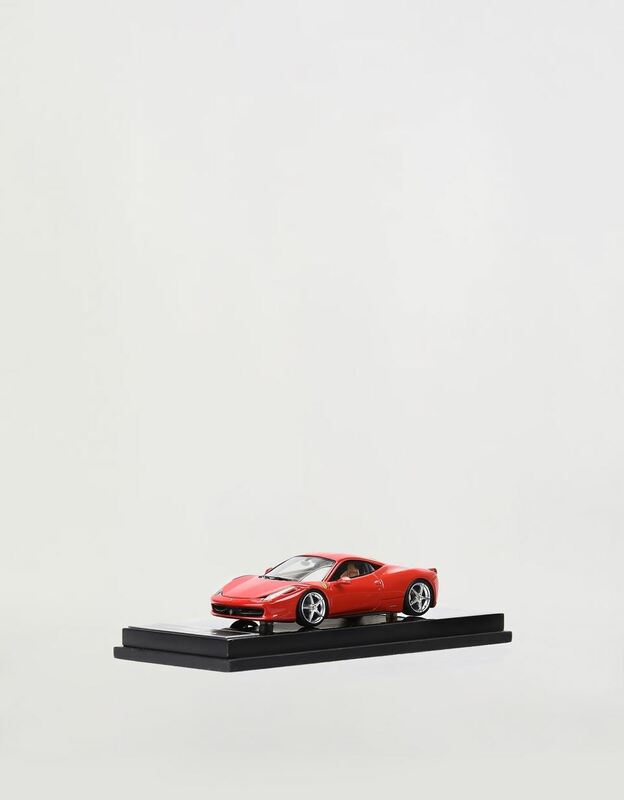 The Ferrari 458 Italia model in 1:43 scale is a replica of the award-winning, compact and streamlined car. 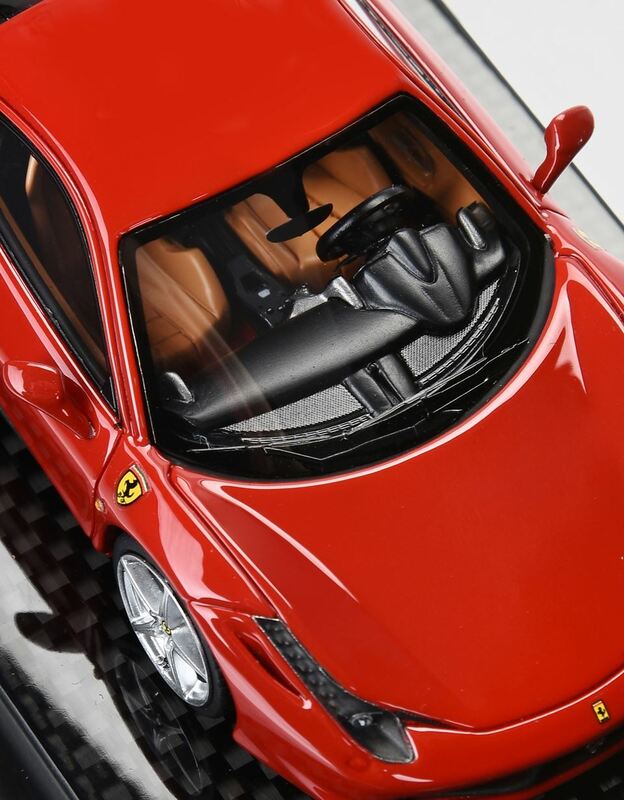 Dedicated to Italy, the Ferrari 458 Italia is the first V8 engine with direct injection mounted in the rear-center position, capable of delivering a power of 127 HP/l, a value never achieved before by a road car with an aspirated engine. 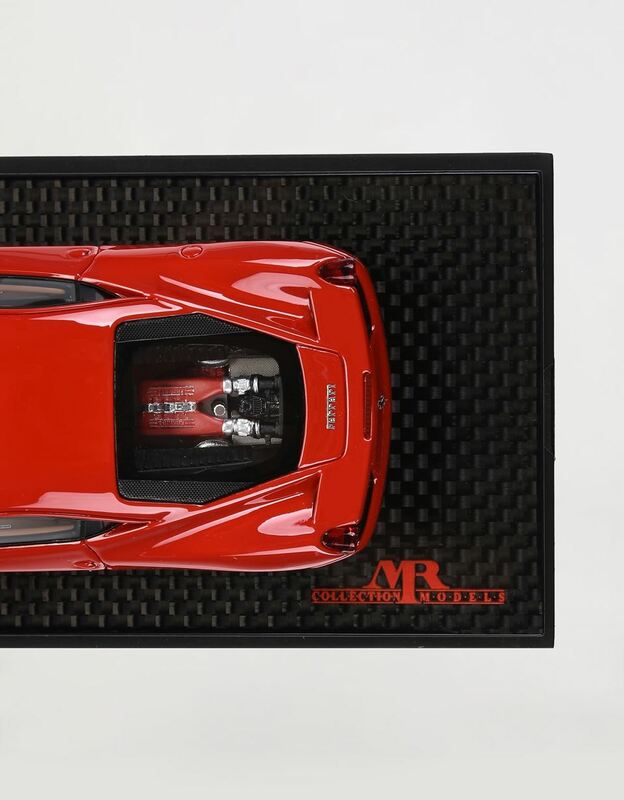 This handmade 1:43 scale model is presented on a carbon fiber base, and is protected by a Plexiglas case with a customized plate. It also comes with an exclusive gift box.